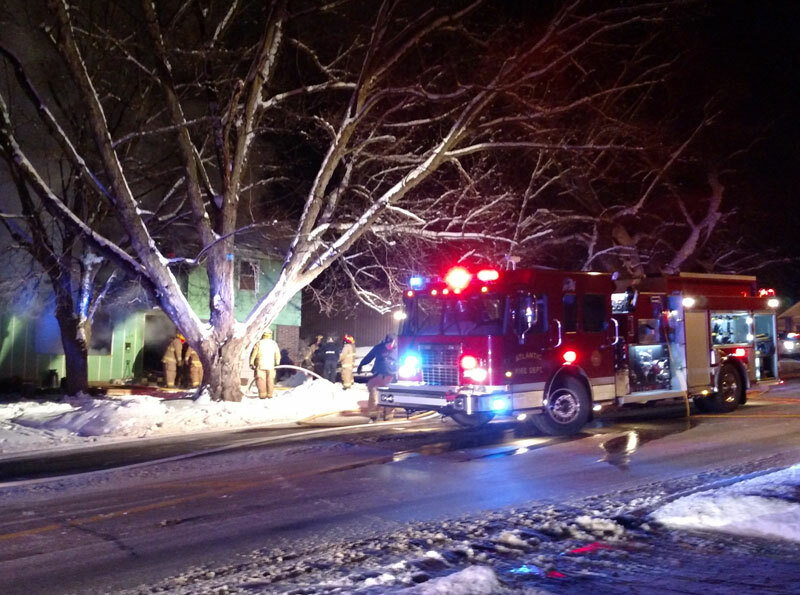 Two people died in this fire in Atlantic Wednesday. 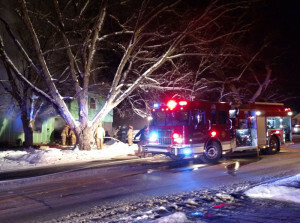 Atlantic Fire Chief Mark McNees has released the names of the victims of Wednesday night’s explosion and fire. McNees said 57-year old Paul McDaniel, of Atlantic, died at the scene of the fire at 604 Olive Street. His wife, 57-year old Denise McDaniel, died this morning at a hospital in Omaha. Earlier, McNees said a broken gas line caused the explosion and fire that happened just after 10 p.m. Denise McDaniel was found in a room upstairs. She was unresponsive and underwent CPR before being transported to the hospital in Atlantic and later flown to Omaha. Paul McDaniel was found deceased in the second floor bathroom. Neighbors told McNees they heard a loud “boom” prior to noticing the flames. Investigators with the state Fire Marshal’s Office and Chief McNees used that information and spent the night combing through the home trying to determine the cause. They discovered a natural gas pipe in the basement broke due to the weight of clothes on hangers being hung on the pipe. The ignition source of the explosion is not known, but since a kitchen stove on the first floor is directly above the pipe in the basement, it’s believed the stove may have sparked the explosion.